NOTE: This essay reflects the author's interpretation of events and evidence. Errors are possible, and the article should be regarded as primarily an opinion essay / analysis. The author worked at HBC's predecessor company (Raytheon Aircraft), in various roles, during some of the events in this story, and -- before and after -- served as an aviation technical instructor and aviation industry analyst / writer / historian, based in Wichita, interviewing many at the company and its affiliates. For a more detailed history on specific sections of the company, written from a public relations approach, see the article on Raytheon Aircraft.. It's a very hot topic these days in Wichita: What is going to happen with Hawker-Beechcraft (HBC)? One of the city's (and America's) oldest continuously active aircraft manufacturers, the company has fallen into hard times, and is (as of this writing, July 2012) currently in bankruptcy proceedings. A peek into the company's past helps one understand how it got to this point, and where the future may be. This legendary leading aircraft manufacturer-- of light-planes, business aircraft, mini-airliners, military trainers and target drones -- employs over 4,000 Wichita-area locals and 2,500 in other cities, states and countries (including maintenance facilities worldwide) -- down from a peak of over 10,000. 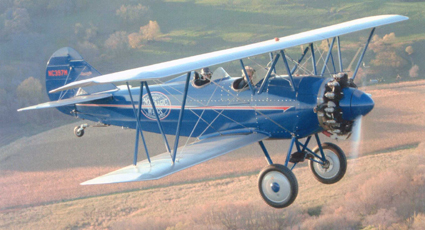 The 80-year-old aircraft manufacturer has always been based at its massive two-square-mile, east-Wichita factory and airport. The massive main factory complex was originally built in the 1920s for forerunner Travel Air Manufacturing Corp. (America's leading plane-maker of the late-1920s), by that company's co-founder, and later the founder of Beech Aircraft Co. -- Water Beech. In the mid-1930s, with help from government stimulus loans, Beech Aircraft Co. had developed the first all-metal light/medium twin: the Model 18 "Twin Beech." The semi-modern "Twin Beech" was a widely used light transport during World War II, and an essential trainer for the nation's bomber crews. From its mid-1930s beginnings, to near its finale in the late 1960s (one of the world's longest continuously-produced aircraft at the time), Beech's rugged, roomy, heavy-hauling Model 18 became the most-trusted twin-engine plane for corporate operators, early commuter airlines, light-cargo companies, and large-scale "bush" aviation in remote areas. In the early postwar years, Beech re-defined light aircraft standards with the speedy V-tailed Beech Bonanza -- introducing a sleek, efficient mix of all-metal construction, refined aerodynamics, retractable, tricycle landing-gear, and roomy interior that has served, ever since, as the industry's benchmark single-engine "business plane" -- the longest continuously produced aircraft design in the world. The Beech T-34 Mentor -- a tandem, two-seat Bonanza variant, with stronger structure and a straight tail (adapted to later Bonanzas) -- served as the primary training plane for the U.S. military during the 1950s and (for the Navy and Marines) well into the 1960s. A turboprop-powered later variant, the T-34C TurboMentor (left) filled an intermediate training role for the Navy and Marine Corps until the 1990s. Walter Beech's death in 1950 left the company in the hands of his indomitably tough, capable wife, businesswoman Olive Ann Beech (often called the "First Lady of Aviation"), and nephew Frank Hedrick. Olive Ann was especially shrewd and tenacious in maintaining the Beech brand's industry-leading reputation for quality, luxury and grandeur. She also maintained the Beech family tradition of corporate paternal interest in the welfare of Beech workers -- popularly known as "Beechcrafters" -- earning unusual worker loyalty in return. In the 1950s and 1960s, with its growing brand-reputation as "the Cadillac of Light Planes," Beech began evolving the Bonanza into a family of light and cabin-class twin-engine planes, culminating in the pressurized, twin-turboprop Beech King Air -- immediately (and ever since) the leader in turboprop executive aircraft. As the King Air grew into larger variants, it spawned a line of popular 12- to 19-seat turboprop feeder airliners -- first the unpressurized Beech 99 Airliner, then the bigger, pressurized Beech 1900 Airliner series (left) -- among the most widely used commuter and short-haul airliners in the world. Beech's long history with the U.S. military has been one of the factors most distinuishing it from other general aviation aircraft manufacturers. Since its first model, Beech planes have served the military as light transports, trainers, reconnaisance aircraft, and more -- integrating almost the entire Beech general aviation aircraft line with military applications. Indeed, some of Beech's civilian aircraft were reportedly developed with an eye to military applications at the time of their development, with military funding. In the late 1960s, at the height of the Vietnam War, Beech's Bonanza was modified into one of the nation's first pilotless "drone" spy-planes, as the QU-22. In time, modified, piloted King Air's took over the role, particularly the RC-12 "Guardrail" (left) -- a heavily modified Beech Super King Air 200 -- a U.S. spyplane used in every U.S. war since, and still in active military use today. At that time, Beech also began building the bodies of Bell JetRanger helicopters -- the leading turbine light helicopter, which was widely used by the military (and is still used by armed forces worldwide). And Beech developed a "Missile Systems Division" factory in Boulder, Colorado to build target drone aircraft and missile drones for the military. Over 5,000 have been built to date. While some have been small piston-propeller pilotless airplanes -- similar to today's UAV's -- many of them are capable of flight at speeds up to Mach 4, at ranges of over 100 miles, at altitudes above 100,000 feet. (Their missile factory reportedly has been moved to Andover, Kansas -- a Wichita suburb -- in recent years). Over the subsequent years, most major Beech models have been utilized by the military for liaison aircraft, light utility transports, remote-sensing, aerial surveillance and/or airborne command posts, and other roles. Beech's "Special Missions" program -- involving most Beech engineers at one time or another -- adapts its aircraft to military roles for the U.S. and other nations. At the start of this century, Beech replaced the Navy's aging Beech T-34C TurboMentor trainers with its T-6A Texan II -- actually a modified Swiss Pilatus PC-9, similar to the T-34C, but much larger, faster, and more advanced. The T-6A was also picked by the Air Force to replace its aging Cessna T-37 intermediate jet trainers. Now, all U.S. military pilots train in Beech aircraft. Additionally, those trainees destined for bombers, tankers and transports get their introduction to multi-engine flight in either twin-turboprop Beech T-44 (King Air) planes, or in the Beech T-1A Jayhawk (right) -- a variant of the popular "Beechjet" business jet. And so it is that Hawker-Beechcraft -- even through its "civilian" aircraft line -- continues to be interwoven deeply into the fabric of American military airpower. At the upper reaches of the product line, though, in the realm of business jet aircraft ("bizjets"), Beech has always struggled to maintain position against competitors. First, in the 1950s, came the French-made Morane-Saulnier MS.760 Paris Jet, a modified military jet trainer that squeezed a pilot and three passengers into a stretched small military jet (technically, the world's first business jet). Beech tried, unsuccessfully, to market it in the U.S. (the French fared little better abroad). In the 1960s and 1970s, though, the bizjet market was flooded with competitors, ranging from Beech's cross-town rivals Cessna and Learjet, to international and big-jet competitors Gulfstream, Dassault (Falcon), and Bombardier/Canadair (Challenger, Global Express). As Beech's executive clientele worked their way up the company's extensive product line -- from light singles, to light twins, to cabin twins, to pressurized turboprops, they reached a point at which they had to leave Beech behind, if they wanted to step up into jets. For many years, Beech looked abroad for solutions. In the mid-/late-1960s, a partnership with Britain's Hawker-Siddley, Ltd. was moderately successful, relabeling some of the popular HS-125 mid-sized business jets as the "Beech-Hawker BH-125" for sale by Beech in the U.S., while the Hawkers retained their native name elsewhere. Competition at the low end of the jet market (chiefly from local competitors Learjet and Cessna) drew away much of the demand for the Hawker jets. Beech responded by acquiring one of the largest of "light jets", the Mitsubishi Diamond, from Japan -- this time purchasing all rights from Mitsubishi, and moving the entire factory from Japan to Wichita. Beech then tweaked the Diamond, and relabeled it as the "Beechjet 400" (today's "Hawker 400"). With the Beechjet's good performance in all areas, and a remarkable vareity of load/range options, it proved enormously popular, finally giving Beech a firm foothold in business jets. However, despite success in jets, Beech's product line was showing its age by the mid-1980s. Except for the Beechjet 400A (Japanese Mitsubishi Diamond) and T-6A Texan II trainer (Swiss Pilatus PC-9), all the Beech aircraft were essentially based on 20-year-old designs, or older -- much older. Beech's popular, grand, turboprop-twin King Air, the bread-and-butter of the line, was facing severe competition from all quarters (including increasingly-efficient light jets), and in need of modernization. At the same time, labor costs and crash-lawsuits were growing -- and the Beech family dynasty was aging to incapacity. Beech needed help to deal with the challenges. A buyer was found: Raytheon Corp., a leading national defense contractor based in Waltham, Massachusetts, who specialized in missiles and electronics. (A potential complement to Raytheon's missile line: Beech's own extensive and respected line of military target drones). Almost from the start, the relationship was problematic. Beech was a tight-knit, old-line, mid-western, family business, with a warm paternal relationship with loyal blue-collar employees and warm, sociable relations with lightplane customers. In stark contrast, Raytheon was a cold, stuffy, bureaucratic, East-coast, ivy-league institution of chiefly white-collar workers, steeped in impersonal corporate operations, Washington politics and military red-tape. Further -- while Beech had a rich heritage in commercial and general aviation, and in building durable, reliable whole aircraft -- Raytheon was focused almost exclusively on military products: disposable missiles and various electronic devices. Raytheon was quickly in over its head in issues beyond its expertise (a fact miserably admitted years later in a corporate pronouncement). The relationship between Raytheon Corporate and Beech-Hawker (renamed "Raytheon Aircraft" promptly upon the death of Olive Ann Beech) was quickly a debacle of arrogant-meets-stubborn -- Eastern white-collar vs. Midwestern blue-collar -- and a newcomer (to airplanes) trying to boss an old pro. Resignations, high employee turnover, and labor-union troubles ensued. Relentless mismanagement of the Wichita factory by Raytheon corporate officials resulted in a deteriorating operation. Attempts to modernize the King Air turboprop line showed promise, when the leading expert in advanced lightplane design -- canard / pusher / carbon-fiber composite aircraft expert Burt Rutan, brought his experimental technology to Wichita. Rutan began design of the world's first government-certified all-composite aircraft: the canard (tail-first) Beech Starship, an exotic pusher-turboprop twin. The light-but-strong carbon-fiber composite structure promised not only a more-efficient airplane, but cheaper manufacturing costs, if all the problems could be worked out. The Starship also introduced the revolutionary concept of "glass cockpit" instrument panels -- TV screens in places of traditional "steam gauge" aircraft instruments. However, designer Rutan, an avant-garde Californian who had never designed an actual production aircraft, did not mix well with stubborn old-line Beechcrafters, nor with stuffy Raytheon corporate hacks -- and left the company in mid-project. Raytheon shoved the aircraft through to completion, largely under the guidance of its Aircraft Division chief Walsh and engineer Walters. The FAA, having never certified such an exotic aircraft before, made the project far more difficult, by requiring old-fashioned features that it knew how to judge and approve -- adding weight and problems. Also, safety features were needed that had not been planned for originally. By the time the Starship was completed and certified, to much acclaim, it had grown bloated from the Rutan design to a heavier plane, with more drag, that cost nearly as much as the Beechjet, but flew 100mph slower. Only about 50 sold - especially to Raytheon's own aircraft-leasing firm. Within a few years, to save Raytheon the hassle of supporting the tiny, odd fleet, all Starships were bought back, and scrapped. One good thing, arguably, had resulted: Beech (now Raytheon Aircraft) had become the world leader in the cutting-edge technology of a whole new way of building airplanes: carbon-fiber composites. If mastered, it promised lower production costs, and lighter, more-efficient aircraft, with more room (stout composites, requiring less wall -thickness than aluminum planes, meant more interior space). While Raytheon Aircraft began focusing increasingly on the profitable commercial and military markets (more in Raytheon's field of focus than general aviation), it leveraged the parent company's deep pockets to seize advantage from its fleeting leadership in carbon-fiber composites, adapting its prize technology to business jets. Backing off from the hassles of composite wings, Raytheon kept aluminum wings, but opted for lighter composites for the cylindrical fuselages of its next two bizjet designs -- the pocket-sized Beech Premier I (above, right), and the luxurious "super-midsize" Hawker Horizon (now the Hawker 4000) (below, left). From the late 1980s to the present, an avalanche of bizjet designs flooded the market, and Raytheon Aircraft struggled to find a niche -- revising and fixing its avant-garde Premier and Horizon designs repeatedly in mid-development, dragging out the process interminably. and even some smaller (or used) Gulfstreams. While the Raytheon composite-fuselage jets foundered, the successful rival Bombardier Challenger bizjet (right) had evolved into the stretched Bombardier/Canadair RegionalJet (CRJ) mini-jetliner -- revolutionizing short-range airline travel, and largely undercutting the market for Beech's once-profitable turboprop 1900 Airliners (left). At the same time, on the lower end of the propeller market, the piston-prop Beech Bonanza (right), and Beech Baron light twin (below, left), were being challenged by faster single-engine aircraft -- including sleek, light composite-construction singles by Lancair/Columbia and Cirrus -- and were further threatened by pressurized-cabin singles by Piper, Socata and Pilatus. Rival planemakers Cirrus and Piper even promised customers they were developing cheap single-engine jets, causing prospective Bononza/Baron buyers to "wait and see". Also, the Beech piston planes suffered from the revival of briefly-defunct, older piston-single lines by Cessna, Piper, and Mooney returning to production -- supplemented further by Piper's revival of some of its most popular light twins. For Raytheon Aircraft, the coup-de-grace, in the early 2000s, was the gradual completion of nearly all military orders for Beech trainers and "special mission" aircraft, while the U.S. military switched its expenditures to the wars in Iraq and Afghanistan -- where Beech/Raytheon military trainer planes served little purpose. Only the legendary King Air line held strong, having outlived all its turboprop competitors. But even the King Air line became a challenge to manage profitably, as light jets -- particularly from rival Wichita planemakers Cessna and Bombardier/Learjet -- grew increasingly cost-competitive with Raytheon's old-fashioned, slower, turboprop King Airs. Other challenges beset Raytheon Aircraft -- including the torturous integration of a computer system known as "SAP", which enabled corporate headquarters to track everything throughout the company by computer -- ironically complicating and crippling nearly every activity at the factory (initially forcing a prolonged temporary shutdown of the factory in the early 2000s, with the loss of millions in aircraft sales, due to delivery problems). The SAP system, still forced onto the Aircraft Division by corporate headquarters, continued to delay and complicate most operations, and reduce productivity and efficiency. Existing owners of Beech/Hawker planes -- long famous for their brand-loyalty -- began howling about the unpredictability and difficulty getting needed parts for their planes, owing to the fouled, computerized bureacracy at Raytheon Aircraft. Many began to look elsewhere for their next purchase -- a devastating blow to an enterprise that had once been the most respected and trusted name in light aircraft. Worsening the situation immeasurably, Raytheon casually treated the Wichita operation as a "training ground" for rising managers, sent from Raytheon's operations back East, to the Aircraft Division in Wichita, to earn their executive stripes before being brought back home to their intended executive careers in the parent corporation. As a string of pin-striped strangers marched in and out -- most of them with little or no prior experience in aircraft sales or manufacturing -- the management of Raytheon Aircraft degenerated into indescribable chaos, and the aircraft division collapsed in paralysis. By 1999, the fiasco was so damaging -- even to the parent corporation -- that Raytheon was forced to admit it didn't belong in the aircraft business. The aircraft division had declined radically in value, with Raytheon desperately asking a mere four-billion dollars for the wreckage, and finding no takers. Ultimately East-coast based investment group Onex Corp. -- working with Wall Street powerhouse investment banker Goldman-Sachs -- decided to add the Beech/Raytheon factory to its holdings. Onex had recently acquired most of Boeing-Wichita (renamed "Spirit Aerosystems," but still building Boeing fuselages) to cut Boeing's union-contract costs. Speculation that Onex would turn the Beech factory into a parts-maker for Boeing turned out to be unwarranted. Raytheon Aircraft's final President, Jim Schuster, who had managed to reverse some of the damage done by Raytheon, was retained as CEO, and the company's legendary brand names were reintroduced into the company name, as "Hawker-Beechcraft Corp." (HBC). Unfortunately, Onex proved little better at running HBC than Raytheon had been. And the purchase deal, negotiated though Wall Street's most powerful (and, to some, ruthless) money-broker -- Goldman Sachs -- came at a hefty price, saddling the "new" Hawker-Beechcraft with a mountain of debt, with Goldman Sachs no doubt expecting fast and plentiful returns. The traditional Beech propeller planes -- single-engine Bonanza (above), Baron twin, and especially King Air cabin turboprops (left) kept a respectable market position, to a large degree. And HBC's old, warmed-over, 1960s-era, British deHavilland DH-125 mid-size bizjet (right) -- rebranded and tweaked into the Hawker 800/850/900 -- kept some money coming in, while HBC struggled to stay aloft. All these lines rested on the seeming eternal preference of traditional Beech/Hawker customers for reliable, stout, roomy and familiar, proven aircraft -- over performance, advanced technology or economy. And having long ago amortized out most of these plane's development costs, it seemed a "safe" default position to continue building and selling them. However, industry analysts warned that the line was growing desperately obsolete, and HBC was not innovating well enough, fast enough, to meet evolving market realities. The "new jets" debacle continued unabated, at HBC, as a stream of development troubles plagued the interminable development of the all-new composite bizjets. Though theoretically an "advanced aircraft" with its composite fuselage, the somewhat ungainly Beech Premier IA stumbled in manufacturing development, while design drift (sometimes allowing for realities not adquately anticipated at first) resulted in a plane suffering from too much weight, and too little range, for market expectations. Though it should have been a market leader in the low-end "owner-flown" bizjets -- with its speed vastly exceeding dominant rival light jets by Cessna -- Cessna essentially took the market almost completely away from the Premier with more practical, readily available, efficient and pleasant-to-fly aircraft (particularly the CJ series and even the tiny Citation Mustang). Even old used Citations proved a dampener to the owner-flown market. Meanwhile, the fleeting market window for the "super-midsize" jets slipped through HBC's fingers -- with completion of its seemingly-never-finished contender -- the exotic, computerized, composite-fuselage Hawker Horizon -- as always "somewhere out there, just over the horizon." (Renaming the plane as the "Hawker 4000" did little to overcome its reputation as "always just out of reach."). By the time the Horizon (now "Hawker 4000") deliveries began, HBC's competitors had already pretty well milked the Horizon's market dry with their own in-production-and-delivered designs. Beaten to the market, the H-4000 arrived on the scene just as the recession hit, seizing up almost all bizjet markets. As if that were not enough, a national outrage had erupted over the use of bizjets by corporate executives in troubled firms. The national outcry was sparked by U.S. auto-manufacturer executives flying to the U.S. capital -- in multi-million-dollar private jets, at the height of the current recession -- to ask for billions in taxpayer-funded bailouts of their mismanaged, sinking companies. The furious public backlash drove companies nationwide, and even some abroad, to halt any further business jet purchases -- and even drove some businesses to dump some of their company jets, putting them on the market essentially in direct competition with new Hawker-Beech production. Sales of nearly all brands of business jets -- but especially the high-dollar jets that Hawker-Beech counted upon -- ground to a near halt. Now having fulfilled most of its contract with the military, no significant foreign customers could be found for the now-finished T-6 trainer line. The King Air's remaining turboprop market was beaten down by the Bush-era recession -- arising in the the late 2000s, and dragging on ever since -- plus aggressive competition from light-jets and turboprop-singles, and a glut of second-hand airplanes (including used jets available cheaply) -- . The piston line (Bonanza, Baron) continued to struggle against the complex new world of advanced competitors, and mounting used-aircraft surpluses, while the unraveling economy sucked the life out of every market niche. Onex, like Raytheon before it, addressed the company's economic issue with cost-cutting efforts, sometimes self-defeating, such as moving some elements of HBC's subassembly production to Mexico, with poor results. Labor relations remained contentious, and many workers defected to more successful cross-town rivals, Cessna and Bombardier/Learjet, or to local operations of Airbus, Boeing and Spirit Aerospace. Layoffs reduced the remainder of the workforce. HBC management continued to demand cuts and concessions -- rather than the raises workers expected for continuing to show up for work, as inflation raised their cost of living. HBC managers argued that the "market" demanded cost-cutting. But HBC was also burdened by the massive debt arranged by Goldman-Sachs in the Onex buyout, and by market-failures of its leaders and white-collar workers to develop successful new designs in a timely response to the evolving market, as industry analysts had been arguing about HBC and its forerunners for decades. Cuts in labor costs -- through outsourcing and in-house wage/benefit cuts -- were targeted by HBC management as the solution, even as they, themselves, continued to claim massive (sometimes growing) salaries, perks and bonuses -- totalling well up in the millions. In 2008, a four-week strike by the HBC machinists' union -- about a quarter of the company's workforce -- symbolized the growing aggravation of workers toward HBC owners and managers. Over the objections of many in the Wichita community, the union members dug in their heels and refused to accept the growing demands of the company. The posh rewards enjoyed by the company leadership were waved about by HBC's largely blue-collar workforce as proof that the company could afford -- or at least that the workers were due -- pay and benefit increases, not cuts. The situation was not much helped by the 2009 "resignation" of CEO Jim Schuster. Leading bizjet-industry executive Bill Boisture, Jr. took the reins. (Formerly at Hawker's predecessor, British Aerospace Corporate Jets, and later head of rival Gulfstream, Boisture also had key leadership roles at major bizjet customers NetJets and Intrepid aviation, and at leading bizjet-service company Butler Aviation. If anyone should have been considered "qualified," by a cursory look at their resume, Boisture was surely an impressive candidate to save HBC). But, despite his impressive resume, Boisture didn't (and possibly couldn't) turn things around. The market continued to flounder, as did HBC new-design development, while new and cost-competitive aircraft designs came pouring off the production lines of rival companies -- particularly Cessna, Bombardier/Learjet and rising-star Brazilian newcomer Embraer. Capital and credit for new aircraft development remained in desperately short supply, while the massive two-BILLION-dollar corporate debt continued to loom, much of it coming due in 2014. Goldman Sachs, HBC's main creditor, kept looking over the aircraft company's shoulder for the fast payback it was expecting (and which it needed, as other G-S investments were failing throughout the economy -- the economy that G-S had, for so long, been conspicuously raiding). In 2010, with the Great Recession in full bloom, and the business aircraft market in free-fall, the handwriting was on the wall: HBC was near collapse, and was going to have to ditch its $15-$40/hour union workforce -- even if it meant outsourcing or relocating work to other states or countries -- to survive. HBC had already shut down its Salina, Kansas parts factory, with an eye to outsourcing, and was looking at moving, perhaps, the entire propeller-aircraft line to factories elsewhere. Where, exactly, was unclear, but plenty of options existed in a hungry economy -- Mississippi, Arkansas, Texas, Mexico, India, China, etc.. This time, it didn't look like bluffing, nor huffing and puffing. It looked real. When the state of Louisiana seemingly offered massive financial incentives for HBC to move there, haplessly disorganized and bewildered Wichita-area "leaders" deferred to the leadership of Kansas Governor Mark Parkinson, who -- in negotiations that seemingly extracted hefty concessions from both HBC owners and unions -- organized a substantial bail-out package for HBC, to keep it in Kansas. Parkinson extracted a agreement from HBC leaders that at least 4,000 HBC jobs would always be in Kansas, in exchange for an injection of state aid and hefty union concessions. The promise of permanent Kansas jobs however, hardly lasted until the ink was dry on the deal. At first, things were a bit calmer around HBC. But the troubles were never-ending, and the "good news" was never-coming. By early this year, 2012, it was growing clear that the company was sinking into a shambles, deep in debt, with no obvious way out. Its leaders turned to the bankruptcy court for protection. Initial negotiations resulted in Onex essentially handing the wreckage over to its creditors, including Goldman Sachs -- now the ostensible owners -- but leaving the company no more secure, and no better managed, than before. Adding insult to injury, HBC's management was given a new overlord: Sachs' apparent "chosen" "turnaround expert," Steve Miller (who was reportedly intrumental in the Chrysler bailout and turnaround in the 1970s, which included Chysler bizjet subsidiary Gulfstream, but was more involved in the acquistion and "turnaround" of various companies in recent years). Miller assured everyone in March 2012 that he didn't see any need to sell off parts of the company: “We’re going to keep this place together, continue with the product lines we’ve got and make sure we get the balance sheets structured in a way that supports us for years to come,” he said in a March 2012 interview with Aviation International News. However, that doesn't appear to have been the actual outcome of his fleeting moment of "leadership." The bankruptcy court is now looking at gutting and selling off the company, in any way that will relieve creditors -- some of them troubled companies, themselves. Suitors -- scavengers, actually -- from throughout the U.S., India and China and elsewhere have begun sniffing around the mortally wounded HBC, each deciding how much it wants to battle the other predators for a big bite of the helpless prey. HBC's new leaders asked the bankruptcy court to approve a decision to enter "exclusive" negotiations and information sharing with Beijing Superior Aviation Technology Corp., Ltd., a Chinese firm that had previously bought a small U.S. aircraft-engine parts-maker (Superior Aircraft Parts) and a floundering, tiny Texas helicopter company (Brantly Helicopter). Some of this information appeared previously in the special report "CORPORATE SNAPSHOT: Raytheon Aircraft Troubles" (including a detailed report of Raytheon Aircraft's history), in the June 11, 2001 news section of Aero-News Network.